Welcome to the Nottingham Recovery Network – a major new treatment service that is revolutionising care for people with drug and alcohol issues in Nottingham by making it quicker and simpler for them to get the help they need. Most alcohol and drug services in the city were previously provided by two specialist providers: Last Orders and Recovery in Nottingham. Both provided a single point of access for anyone seeking advice, guidance or treatment. 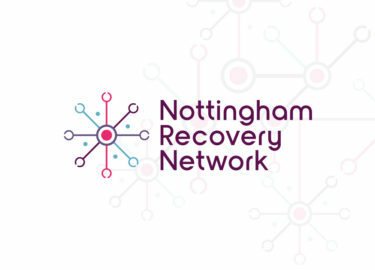 These services have now been merged into a single treatment model – the Nottingham Recovery Network. As the name suggests, we are no able to guide people along a network of advice and support – from their first call or meeting with us, to the day when they feel they no longer need our help. This service has been commissioned by the Nottingham Crime and Drug Partnership and is operated as a partnership between Framework, Double Impact and Nottinghamshire Healthcare NHS Foundation Trust. Broadly speaking our work can be described in the following steps. Triage: Assessing people’s needs, offering immediate treatment, and explaining the service to them. Structured Treatment: Consultant-led, in-house support services, including recovery groups and behavioural therapies. Personal development: Helping people to change for good by encouraging mentoring, volunteering, access to training and employment. The new service will support anyone who is a resident in Nottingham City who wishes to change their relationship with drugs and alcohol – from those people with the most serious and debilitating addictions to those who just need a little advice and support. Ultimately this new service is about bringing the right kind of support the people who need it, now in the future. We know that Nottingham as a city has a higher than average prevalence drug and alcohol misuse. We also know that around 10,000 people in the city drink at levels which affect their health, relationships and quality of life; and that thousands more have issues with other drugs, including novel psychoactive substances, and over-the-counter medications. Last Orders and Recovery in Nottingham already offered some of the best treatments in the country, but there is more we can do together. Healthcare services are continually changing and adapting, and by creating this single treatment pathway we are adapting to the needs of our community and presenting a service that I believe will be a huge success.